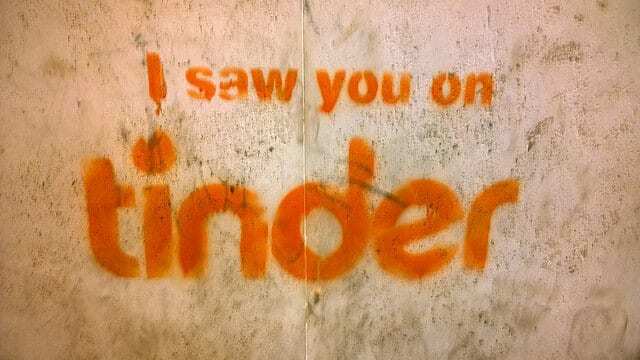 Dating Apps: do they contribute to the culture of anonymity? Dating apps — such as Tinder, Bumble and a whole other array of sites — have changed the realm of romance. Whether you’re on the hunt for a short fling, a bit of company, or the love of your life, swiping right has never been easier. And as the negative stigma surrounding dating apps has decreased in recent years, so has the rise in users. These apps have become less taboo and are now a standard practice of single life. With over 1.6 billion swipes a day worldwide, Tinder is the biggest dating app on the current market. But the act of ‘swiping’ is fairly void of emotion and is well known for being entirely based on initial attraction. The app offers you the chance to reveal or conceal as much about you as you wish. But this semi-anonymity emboldens people to behave in ways they wouldn’t in person. Browsing online is attractive because it is far less intimidating than meeting people in social contexts and navigating awkward situations. However, it can completely detach you from the personal connections and feelings that the more traditional dating methods provide. This means many users spend time cultivating the perfect reply, removing any sense of spontaneity. Dating apps can add another layer of complexity to the already-loaded guide on dating etiquette. The spaces created by these apps can offer a haven for false-identities, catfishing, and odd interactions — becoming a superficial enabler of the semi-anonymous hook-up culture. Users have the opportunity to act in any way they want because they are not tied to feeling the consequences. You can shut the app and pretend like nothing happened. Ego one hundred percent satisfied. From personal experience (because, yes, I have dipped my toe into the water), I found I became very picky. Although it was a nice compliment to get a match, I found the whole idea of talking to strangers — the thing we are told not to do as a child — very, well, strange. I could drop conversations when I was bored and delete people who I was uninterested in. A completely dehumanising approach to potentially finding ‘the one’. Laura met her boyfriend on Tinder earlier this year, and they are still together. Her experience testifies that it can be a great platform for introverts or generally shy people. As long as you have your wits about you and are true to yourself, dating apps can allow you to branch out in a way that you feel comfortable doing.